We need a bigger pool!!! 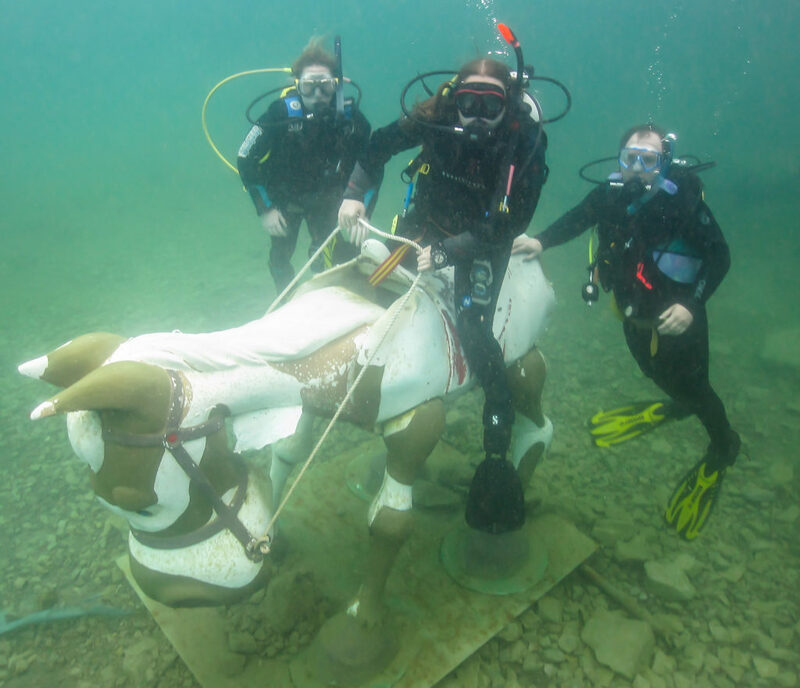 Ok let’s kick off with a big welcome to Cathryn & Ray enjoying the PADI Discover Scuba Dive experience, welcome also Mark, Rhys & Laura to the PADI Open Water course and again welcome Kirsty having a tune up ahead of jetting off! Great job Odette, Breon, George, Megan, Rebekah, Rory, Morgan, Allan, Anna, Julie, Isabelle, Stephen & Chris on your PADI Open Water course sessions. 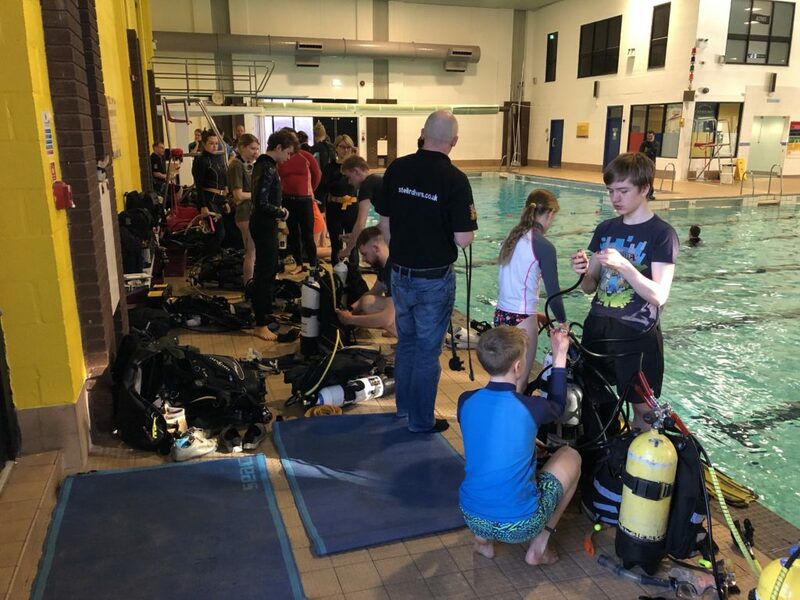 Awesome to see Ben, Paul & Louise sarting the PADI Rescue Diver course & grand to get Vicky & Mark in the pool practising their Dry Suit skills ahead of next Saturdays course. Fab to see our Seal Leila doing Search & Recovery and always a pleasure to see Richard, Isaac, Ross & Herm enjoying some fun swim arounds. Thank you, thank you the truly talented dive team Seasick, Ian, Siân, Chris W, Petra, H, Dredge, Chrissy, Alice, Martin, Clare, Alex, Chris D & Sam H.
Look at all that Sun outside!! Our first Capers trip isn’t far away, anyone recognise the divers in the picture from 2012? Not quite Capers but the in the pool we say welcome to Stephen, Logan & Sam having a great time doing PADI Discover Scuba Dives, next step PADI Open Water, how fantastic. We also welcome Aidan & Joseph enjoying a fun PADI Bubblemaker experience. Lovely to see our very experienced PADI Seal Bella having a great time & well done to Danny, Laura, Kian, Cheya, Eleni, Emilis, Chris, Nat, Valerie & Odette on smashing another pool session on the road to PADI Open Water glory. Good to see Will, Paul, Darren & Sarah having a great swim around and thank you thank you thank you to the wondrous dive team of Major, Ian, Chris W, Siân, H, Alice, Dredge, Dan, Tom H, Clare, John Wick, Sam H, Sam B, Martin & Alex. We are at Girton on Saturday from 10am if anyone fancies a pootle, have a great week everyone Hotch & Vic.